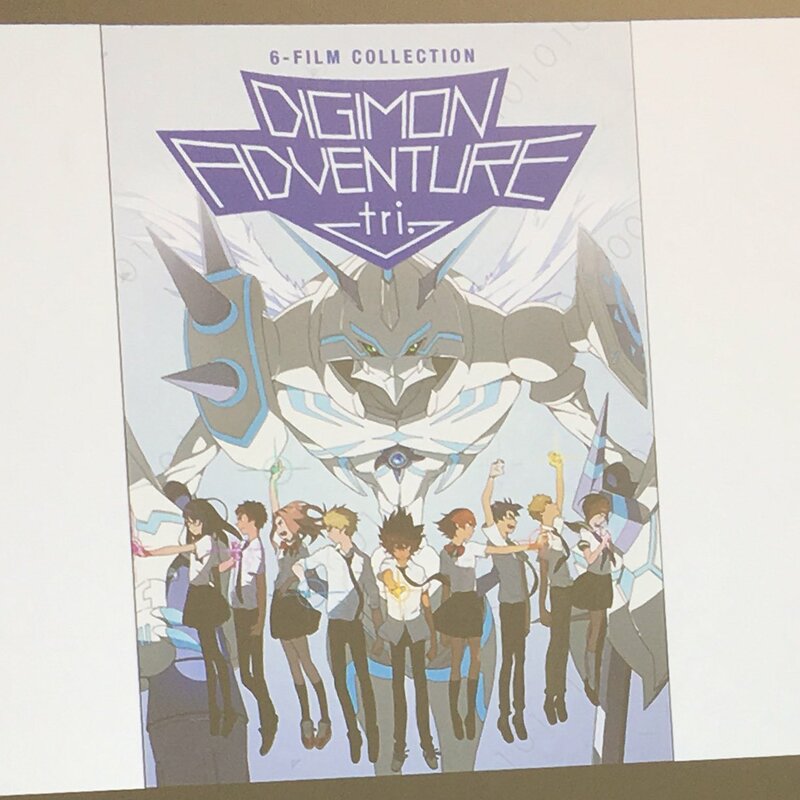 Announced at the Shout panel at SDCC happening right now, we are getting a boxset with all 6 parts of Digimon Adventure tri. in the US. It looks like the cover art for the box will feature the 2nd Japanese tri. Part 6 theatrical poster art. That's all we know for now. More details to come soon hopefully. Thanks to Ryan Gallagher for the image. Nice, I was hoping for something like this. I wonder what the price will be. I guess as a bundle it'll be cheaper than getting all 6 one by one but it would still be a good 250$ minimum? So I've probably spent $100 total on parts 1-5... I guess if this is cheap it wouldn't be a huge loss to skip 6 and get the box set? It'd have to be more than JUST a box though... but it does look nice. If tri. has something utterly remarkable are those amazing visuals, and hey this one is probably the best one (along with Ophanimon FM & Raguelmon's because I'm biased). So hey good news for the American Digifans!! Was sorta waiting for this and holding off buying the individuals. Shout has a history of re-releasing things as a boxset, often with an exclusive bonus disc to promote the sales. Will aim to buy this for sure.